In the months and years to come, experts and researchers like CBE’s Tobin Porterfield, Ph.D., professor and director of the M.S. in Supply Chain Management program will examine the response and recovery efforts that followed last year’s natural disasters. Last year was unprecedented for natural disasters in the United States and some neighboring countries. Back-to-back hurricanes, wildfires and earthquakes tested the limits of emergency and humanitarian response from private organizations, utilities and governments. In the months and years to come, experts and researchers like CBE’s Tobin Porterfield, Ph.D., professor and director of the M.S. in supply chain management program will examine the response and recovery efforts that followed 2017’s natural disasters. We asked Porterfield to talk about humanitarian supply chains and logistics as an emerging research subject, why it is important and the potential impact it could have on how businesses, nonprofits and government agencies respond when disaster strikes. How new is this concept of humanitarian logistics and supply chain management (HLSCM) research? The earliest published academic articles date to the 1980s. The surge in research was fueled by the devastation of the earthquake and tsunami that hit Japan in 2004. The interest is continuing to grow as NGOs are being pressured by donors to spend limited dollars more efficiently, and high-visibility events recently have stirred governments to act and the public to question why commercial supply chain best practices are not being used in the humanitarian sector. To give an idea of the growth, in 2009, nine journal articles were published and in 2016, 54 were published. Our research looks at both how commercial supply chains can protect themselves better against disruptions and how organizations and governments can leverage commercial resources better for humanitarian relief. What can we learn from studying business and government supply chains during and after a natural disaster? Commercial organizations have invested heavily in creating efficient and effective global supply chains. So much so that when natural disasters strike, we wonder how it is possible that we can’t move critical supplies into places like Puerto Rico—“Can’t we just order water on Amazon Prime and have it sent?” The truth is that HLSCM has unique situations that make it difficult to respond—things like lost infrastructure, cultural barriers, language barriers, lack of assessment data that can determine the type and volume of need, creating supply chain networks where none existed, coordination of local government, national government, non-profit, and for-profit resources. It’s not that we can’t learn from best practices in commercial supply chains, it’s that each practice needs to be carefully evaluated based on the context of the potential event, and each event has its own nuances. 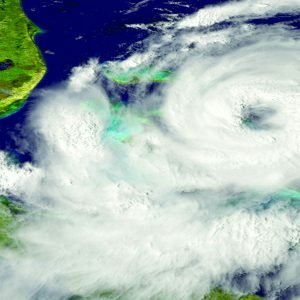 Huge hurricane approaching Florida in America. Elements of this image furnished by NASA. Each disaster brought different devastation and unique challenges. Just based on your personal observations from this past year, what do you see as the greatest area of opportunity to uncover a new best practice? As an academic community of students and researchers we have the opportunity to observe the HLSCM world and the commercial supply chain world, which often leads to good questions and solutions. For example, we know that on any given day in the U.S. there is excess commercial supply chain capacity. Warehouses, shipping containers, trucks, trains, ships, and materials handling equipment. Similarly, on any given day there are humanitarian needs for food, medical equipment, medicine, and supplies that could be used if it was in the right location. How can we break down the barriers that separate commercial and humanitarian supply chains so that humanitarian organizations can make use of that unused capacity? When natural disasters hit a U.S. region or state, some states have created agreements with commercial supply chain companies to use their existing supply chain network to pre-position and transport emergency response materials. Why isn’t this a standard practice for all states? What are the best practices in this process? We hope to find some solutions. When it comes to studying humanitarian relief logistics, it’s not just the “how” that’s important, but the “why” as well. In an independent research project, Will Chatard ’17 (BUAD) delved into possible motivators for commercial logistics companies to provide free services and products. Aside from philanthropic intentions and tax benefits, companies may find it helps their business interests. With little research on this side of the supply chain industry, Chatard argues companies should be surveyed and analyzed to look deeper into these motivations. Doing so, he says, could make a huge difference. How can small businesses prepare? 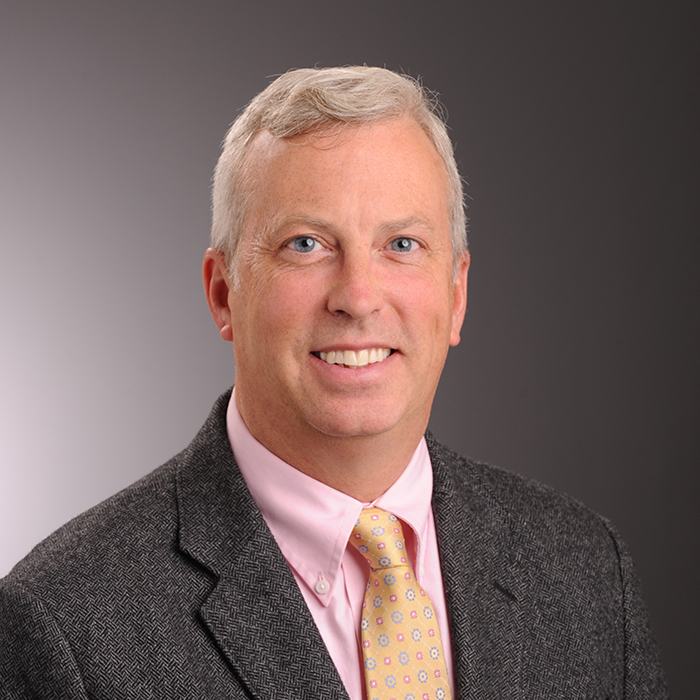 Tobin Porterfield is an associate professor in the Deparment of e-Business and Technology Management.